HERE THEY ARE! 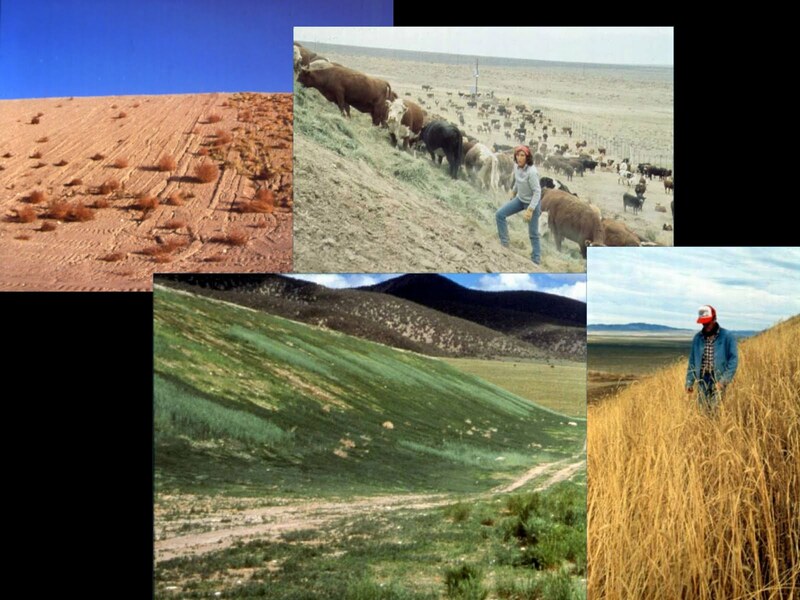 ALL ACHIEVED BY USING THE LAND, NOT BY PROTECTING IT! 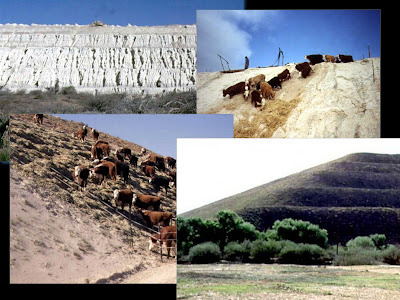 The photo sequence above was taken at a gold mine in central Nevada. 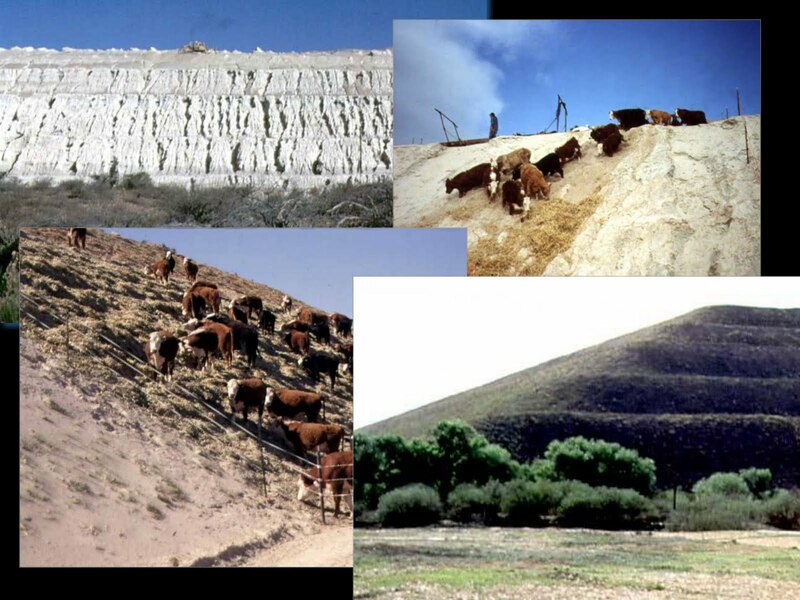 The mine had already been unsuccessfully reclaimed by “standard operating procedures” (top left) when Nevada ranchers, Tony and Jerrie Tipon applied seeds, organic material (hay), animals (cows), and then allowed the land to gestate over the winter. The results are shown the following spring and at the end of the summer growing season. 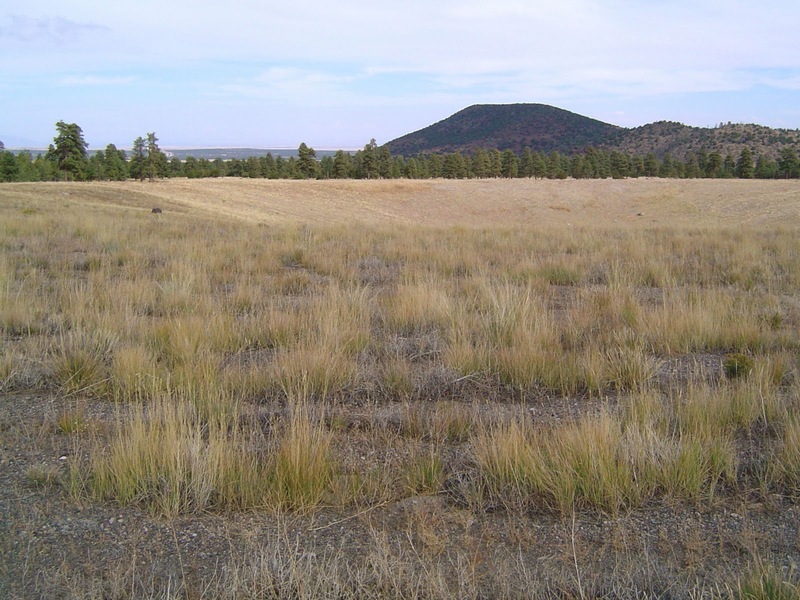 The next amazing restoration involves a pile of copper mine tailings in Arizona. Same formula, same results. 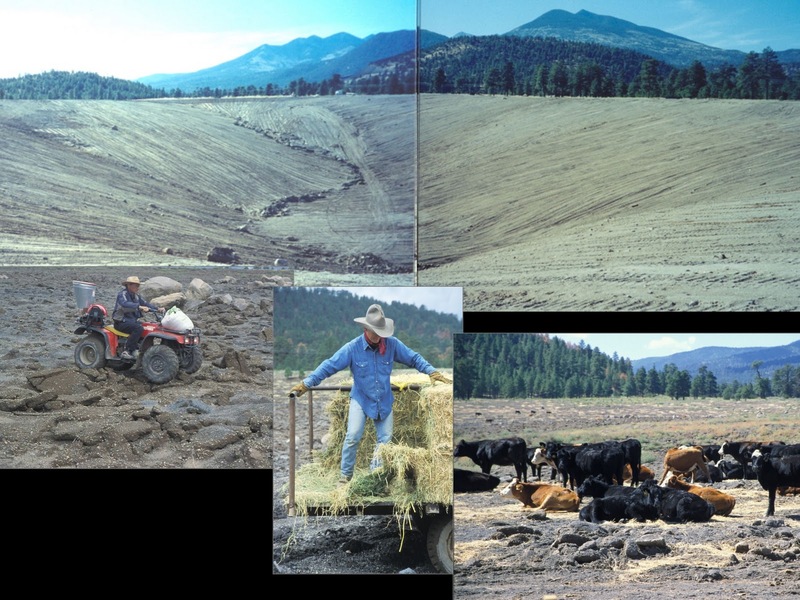 This was a superfund site on which standard reclamation techniques had failed, but Arizona rancher Terry Wheeler and his cows came through. More than ten years later the technique is still working. The restoration pictured below was achieved by me and my partner Norm Lowe. The challenge was a gravel mine on the Coconino National Forest near Flagstaff, AZ. The first photo (two photos spliced) shows the mine. Next is Norm broadcasting seeds. 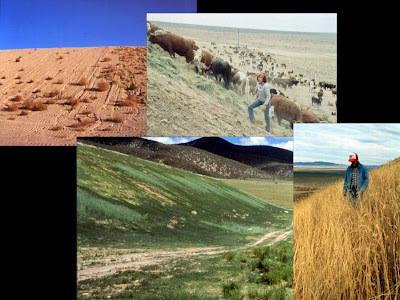 (Look at how rough that ground is!) Then a cowboy spreading hay, the cows doing their work, and finally the results. Click any of the photos once for a close-up, twice for an extreme close-up. Very interesting! Judging by some feedback ….